Auriderm® is an innovation in cosmetic care. Originally used for bruising that resulted from aesthetic procedures, Auriderm has been proven valuable in a number of conditions where there is unwanted hemosiderin or a weakness in vasculature. 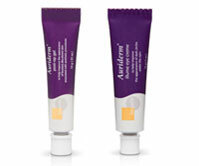 Auriderm in now available in four new options; vanishing gel, clearing gel, post-op gel, and illume eye creme. Teamine Eye Complex® has been designed to work through multiple “pathways”. These pathways address many of the symptoms associated with the dark circles, puffiness, elasticity, fine lines and wrinkles around the eye. Years of research have provided a complete topical remedy. The reduction of dark circles and puffiness is the main benefit from using Teamine Eye Complex®. This formulation assists in providing increased microcirculation and drainage, by strengthening the capillaries and developing thicker, firmer skin under the eyes. Most patients will see and feel immediate improvement in their skin’s smoothness, with noticeable reduction in dark circles within four to eight weeks. For scars from surgery, cuts, burns, stitches, scrapes and falls. Scarguard Scarcare dries in seconds to a protective film that is water-resistant, nearly invisible and will not stick to clothing. Scarguard is the #1 product dispensed for scars after plastic surgery. Until now you could only get Scarguard products from your plastic surgeon. While complete erasure doesn’t usually occur, many things can improve the appearance of scars tremendously. One of the most overlooked areas of the body that shows aging first is the neck. Revision Scientists have discovered that applications of retinoids, alpha and beta hydroxy acids help speed up cell renewal, but don’t address the more significant changes that occur over time. With this knowledge the Research & Development Team at Revision Skincare has devoted countless hours to studying how the neck ages, how the skin on the face differs from the skin on the neck, and what specific ingredients are needed to help prevent and reduce all the signs of aging on the neck. The research is done, and Revision is proud to introduce the only product available on the market that addresses all the changes that can take place on the neck as we age! 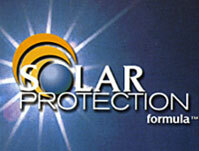 Solar Protection Formula was developed specifically for individuals concerned with blocking the complete light spectrum. Solar Protection Formula is a unique block for both the UVB and the UVA wavelengths of light, offering complete full-spectrum protection for sun sensitive individuals. Solar Protection Formula is excellent for the medically photosensitive individual, and those concerned about the damaging effects of the sun. No other sunscreen compares to Solar Protection Formula’s protective capability. Solar Protection Formula is an everyday necessity and not just a summer beach product.